What is Android Oreo and What Are its New Features? Android Oreo (Android O) also known as Android 8 is finally here and many phones have already received the Over-The-Air (OTA) update. 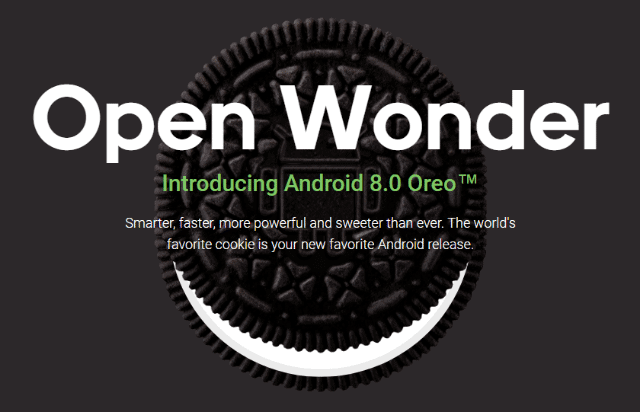 The Android Oreo release date on August 21, 2017, coincided with the Great American Eclipse and the new update was launched with an eclipse-themed announcement and now almost a month later, most of the eligible devices have received this update. Android Oreo is touted to be the best Android version yet; it is feature-rich, simplified and visually consistent. The design palette is visually appealing and it packs more customization than ever before. Android Oreo brings with it noticeable changes and several under the hood improvements that make it the smoothest Android version to date. If you own one of the Pixel devices, Nexus 6P or Nexus 5X, chances are you already have the Android Oreo download. If you own a non-Google device like HTC or Samsung, you might have to wait a few weeks before you get the update. Considering Android’s track record of delivering updates, this time around Google has streamlined the way updates are delivered. It remains to be seen if the device manufacturers will take note and make haste to deliver Android Oreo to all the flagship devices. If you have just received the new Android update and are wondering what changes are there in store for you, read on to discover Android Oreo’s best features and biggest upgrades. As expected with any new update from Android, Oreo also comes with a host of expectations. With Android looking to include more user-friendly and intuitive features in the operating system to take on iOS, Android Oreo delivers big time. It is smarter, faster and more powerful than ever before and has a host of sweet features that make it a treat to use. Android Oreo’s newest feature is the ability to multi-task with the Picture in Picture option. Android’s last iteration Nougat brought the split screen functionality to the Android device and Oreo takes it further with the Picture in picture option. You can watch a video and multi-task on your device at the same time or participate in a video call and write an email simultaneously. It is a great feature for people with bigger phones and a good way to multi-task. All apps do not support this feature yet. VLC does and YouTube Red support it but other video streaming apps like Netflix, HBO Now and Google Play Music do not support this feature yet. It remains to be seen if these apps will support it in the future and app support will determine the success of this feature. 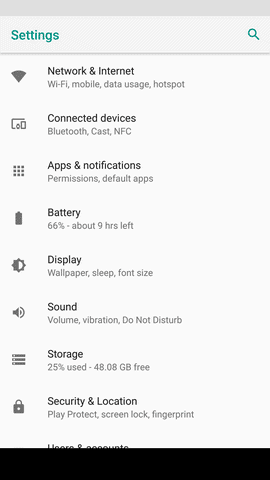 The settings menu has undergone a change in Oreo with a reorganization of the various menus to make it more simple and intuitive. 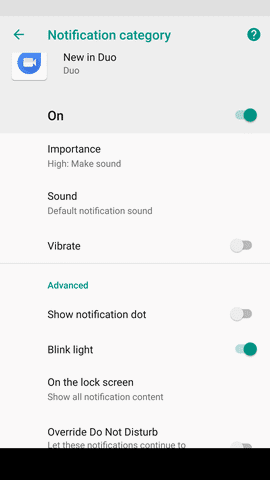 Some items on the Settings menu have been grouped together, for instance, the Apps and Notifications, to make it more intuitive and less scattered. The quick settings color shade has been changed too – it has a lighter background with grey text unlike the dark background in Nougat. The date and the settings toggle have been moved to the bottom of the Quick Settings shade and you can easily add or remove items from the shade. 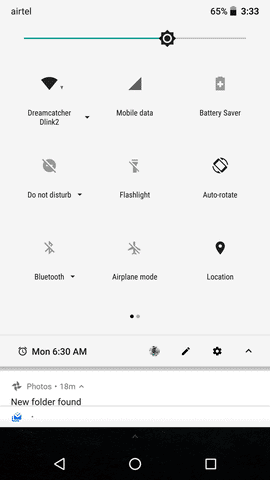 A new addition to the Quick Settings menu is the battery saver, which can be activated by tapping the icon. All in all, the quick settings menu is smoother, lighter and more customizable in Oreo. Notifications are always important and the latest Android version Oreo makes sure you don’t miss any. Android Oreo has a new feature called Notification badges where the app icons on the homepage show badges to denote unread notifications. They are similar to the notification dots on the iPhone. These notification badges can be customized for individual apps although all apps have not yet been optimized to show notification badges yet. Personally, I feel it might be something of an overkill, but I can see how it can be very helpful, especially if you have muted the notifications for a few apps. Another improvement in Android Oreo is how you manage your notifications. It has added the ability to snooze individual notifications. While Nougat gave the user the option of swiping the notification to enter the settings and change the notification preferences, Oreo gives you more customization in managing your notification references. 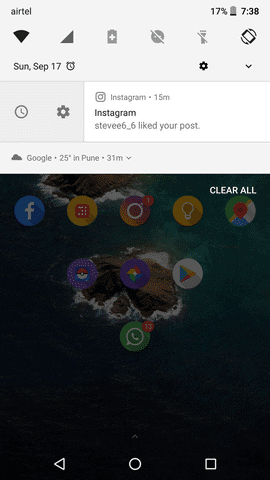 Pull down the Notifications shade and tap on Snooze for options like till when you want the notifications snoozed and you can even specify the location where you would want to see the notification. This is a very useful feature for people who receive notifications often. This way, you can snooze the ones that are not on priority and take care of the ones that need action, without the fear of forgetting about the snoozed notifications. While this is not a new feature in the Pixel phones, the fingerprint scanner gesture has now been extended to the Nexus phones. Simply swipe down on the fingerprint scanner and the notifications tray is expanded. It is very handy and Android Oreo has taken it up a notch by allowing app developers use this gesture in their apps as well. The implications of this are enormous! Apps with this functionality can do so much – imagine scrolling up and down a browser by swiping up and down or flipping between home screens by swiping from side to side. It is a great functionality to have and one that could change the way people scroll on the mobile device. 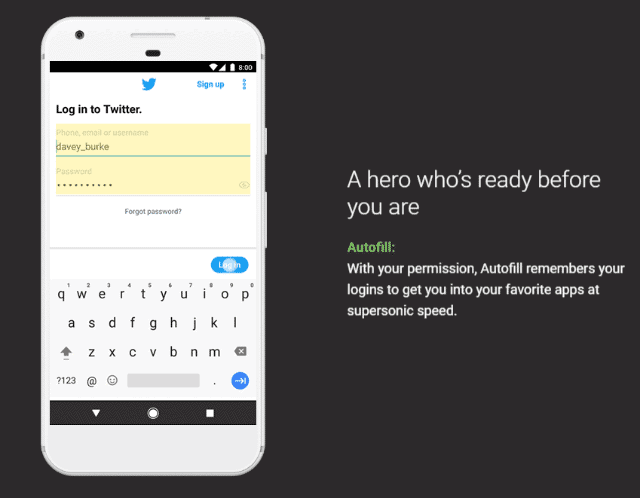 Remembering long passwords for every login is a thing of the past with Android Oreo. Earlier you could automatically fill in passwords using third-party password managers but they were not always reliable. 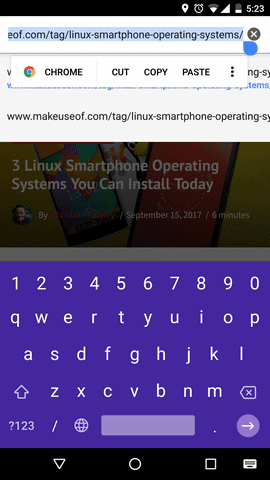 However, with Oreo, these apps can register as autofill providers and seamlessly log you in. It is so smooth, that you don’t even realize you have been logged in sometimes. This is a great feature and goes a long way in creating a seamless browsing experience. It works with Google Password Manager, Dashlane, LastPass, 1Password and other third-party apps. With the new adaptive icons feature, developers can create icons that integrate better with the device UI. 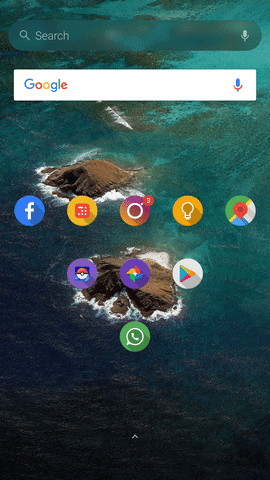 Developers can make a single unified app icon and the Android Oreo will automatically align it with the system settings. This way, all home screen apps will have a similar size, and look and feel. 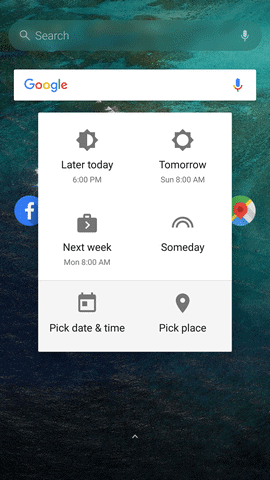 Adaptive icons are Google’s effort to maintain consistency across all Android devices. Developers can create a larger than usual background for the icon and the system will mask the icon with different shapes to create a more consistent look. The best thing about adaptive icons is that it lets the user choose the shape they like best – system default, square, round, rounded square, squircle etc. One of the most anticipated features in Android Oreo is the improved Bluetooth quality. Sony has donated its Bluetooth LDAC codec to Google, which has taken the quality of audio output in supported devices to a whole new level. Another big improvement in Android 8.0 is that it supports Bluetooth 5.0. The latest Bluetooth iteration, Bluetooth 5.0 is capable of super-fast speeds, double the data throughput for short distances and as much as quadruple the range with less throughput. Bluetooth 5.0 is the future of Bluetooth connectivity and Android Oreo’s inclusion of this technology is definitely a step in the right direction. With Android Oreo, you have more control over how apps run in the background. This is significant because it has the potential to streamline app processes and greatly increase the efficiency of your device, leading to improved battery life and smoother performance. In the earlier Android versions, apps would have many resource-consuming processes running in the background at all times. 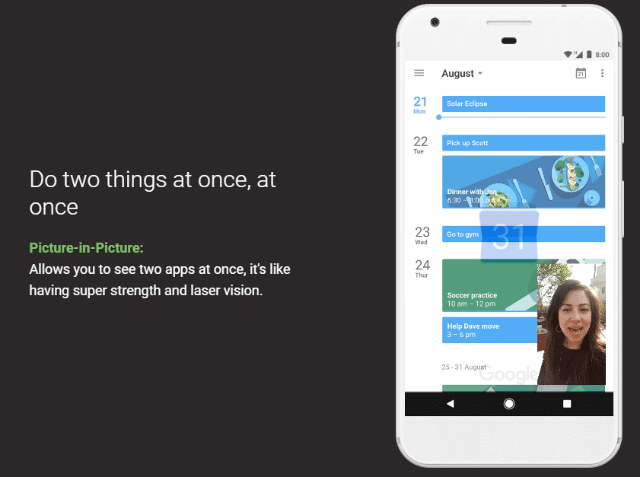 With Android Oreo, Google has taken notice of this and limited the app requests to scheduled windows of activity. Since the apps are not running in the background all the time, they end up using considerably fewer resources, which translates to a longer battery life of your device and faster processes. 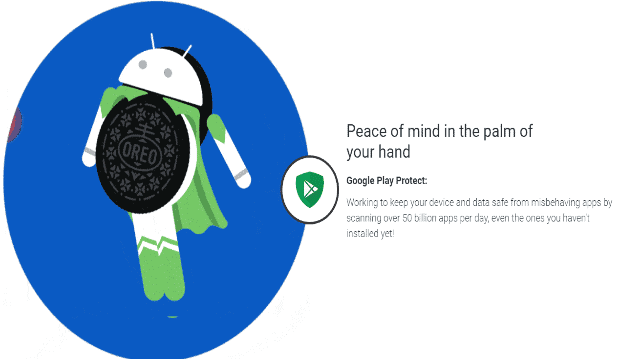 Google has taken cognizance of the numerous rogue apps running amok in Play Store and introduced Google Play Protect, which scans over 50 billion apps per day to keep your device safe from malicious apps. Google Play Protect scans your apps even before you download them and lets you know if you are about to download an app that is harmful. You can access Google Play Protect in Settings, under the Security subhead. Project Treble is perhaps the biggest change that Android Oreo has received. This initiative, if successful, has the potential to completely change the way Android updates are delivered. 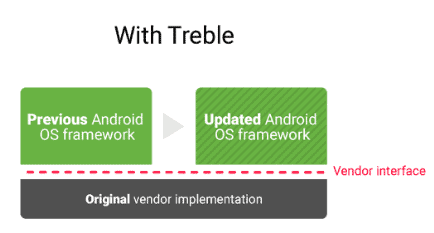 Project Treble will modularize the updates and manufacturers will be able to use a new vendor interface to update Android OS. Earlier, whenever a device moved to a newer version of Android, a lot of code needed to be updated. 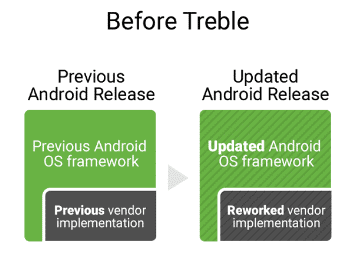 With Project Treble, Google has introduced a vendor interface with which device makers can deliver the Android release to users by simply updating the Android OS framework without involving the silicon manufacturers. Android Oreo Project Treble has the potential of being a game changer if it is successful. Google has tried many things in the past to solve the update conundrum, but with very little success. Project Treble is a completely new take on this problem, and we will know in a year or so about how effective it is. Project Treble will be available on all new phones shipping with Oreo. 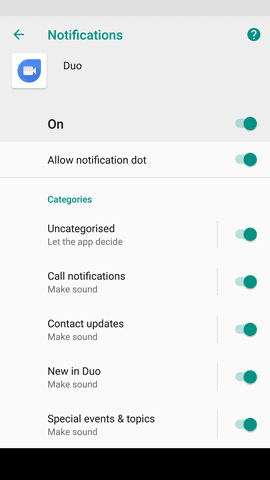 A new system of notification permissions, this feature lets the app create various categories for the notifications that the app displays. Some apps have just a couple of categories, while others have many. App developers need to include the channels in the app for these options to show. Users can completely customize the level of notifications they’d like to receive from each app. While this may be a great feature for people dealing with multiple notifications, I personally think this might turn into one of those under-used features on the device. Setting notification channels for every single app is a great feature to have, but in reality, most users will not be bothered to look into all the options available and act on them. Android Oreo brings with it a host of completely new emoji; the familiar blob-shaped emoji have given way to rounded emoji with a slight gradient in many of them. The old blob emoji were equally hated and loved by users, and personally, I loved them and do miss the quirkily shaped emoji. The new, more traditionally shaped emoji are sharper and have more color than before. We will see in the next few months whether people are more accepting of these emoji or if they prefer the old blob emoji. Taking its mandate of creating a smarter OS further, Android Oreo has smart text selection capabilities. Android Oreo can differentiate between the different types of text you have selected and suggest an action accordingly. This is a great feature and simplifies the way you search on your mobile device incredibly. With this new feature, if you select a URL, the system will suggest you open it in Chrome, and similarly, if you select a phone number, the dialer app will open. It is extremely intuitive and can predict which app you will need very accurately. Oreo also has smart sharing where the system learns your sharing habits and is able to pair the apps that you would need when you share specific content. For instance, it will learn to pair a picture with social sharing apps and a document with email apps. Android Oreo is touted to be the smartest Android version there is and features like these reinforce the claim. Android 8 has a new feature called Rescue Party that detects if the device has gone into a boot loop and attempts to fix the issue. Rescue Party is built into Android Oreo and is available for Nexus and Pixel devices. Other device manufacturers have the option of removing this feature in their OEM skins. With Android Oreo, the ambient screen lights up when the phone is picked up and shows notifications with a larger font and with immediate access to the app for further action. As with all Android versions, the Easter egg is one of the most awaited features. Google’s quirky Easter eggs have amused users ever since they first started appearing in Android. Android 8 does not disappoint; the Easter egg is a quirky octopus that floats around the screen. Many people have speculated on the connection between the octopus and Android 8, but other than the octopus having 8 tentacles, there seems to be no connection. 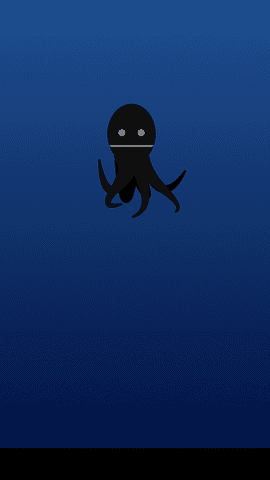 The smiling octopus can be dragged around the screen by moving it with your finger. It changes size when you turn the device and floats around smiling at you in its inky background. Android Oreo has so many interesting features and is by far the most complete and polished Android version yet. No bugs or lags that inevitably crop up after every update have been reported, at least nothing major so far. It is still early days yet and as more and more devices get on Android Oreo, we will have a better picture of how bug-free and smooth the upgrade is. With Android Oreo, Google is betting heavily on speed, security and user experience. By baking in features such as autofill and smart text selection, Google is looking at machine learning to predict accurately what the user will do next. Android Oreo will speed up your device with features such as background limits and it’s boot speed is touted to be faster than ever before – as much as two times faster than Android Nougat boot speed. When it comes to security, Google has upped the game with Google Play Protect, which makes sure you don’t download any app that could be malicious. Project Treble aims to get updates out in a more structured fashion and Android Oreo’s other features such as improved emoji, improvements to Bluetooth, Picture-in-Picture, and adaptive icons are great features to have for a user experience that is smooth and extremely intuitive. The bottom line is that Android Oreo is definitely a great improvement over Nougat and with this latest upgrade, one gets the feeling that Android OS is only going to get better and better. These are some of the Android 8.0 features from the latest Android version. Do let us know if we have left anything out. Which among these Android Oreo features do you like and what are you most looking forward to having in your device? Let us know in the comments below on what is the most important and game-changing Android Oreo feature for you. Previous articleDifference Between DDR3 and DDR4 RAM, Which One Should You Choose?